The kids are back in school now, which means I have quiet, productive mornings and crazy busy evenings. Getting meals cooked and ready in the midst of all that craziness can be tricky. Enter my trusty crock pot. I can put all the ingredients in the pot in the morning, and be ready for family dinners in the evening. This is my newest experiment with crockpot dinners, and I think it was a huge success. 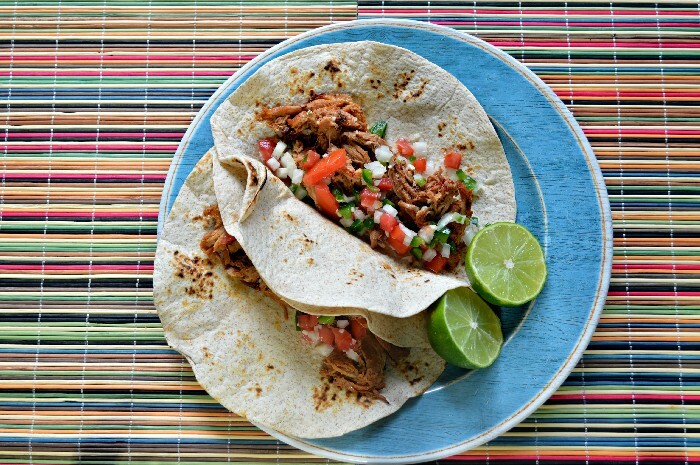 These crock pot carnitas are a fun spin on taco Tuesday, and you won’t have to put in any extra effort cooking. The ingredients are affordable too, which is always a bonus in my book. Watch this short video to see how I cooked up the delicious carnitas using Smithfield Slow Roasted Golden Rotisserie Marinated Fresh Pork Tenderloin. Don’t forget to pop over and subscribe to my YouTube channel for more videos like this! I have an entire playlist of delicious and easy recipes that I am sure you will love. You can find the Smithfield pork products in the meat case with the other cuts of pork — they come in roasts, loin filets, and tenderloins. Check your areas for local stores, but you can find them at most Kroger stores. I like getting the Smithfield marinated tenderloins because they have additional flavor and spices built right in. That saves me time when I am prepping the pork to go into the crock pot. 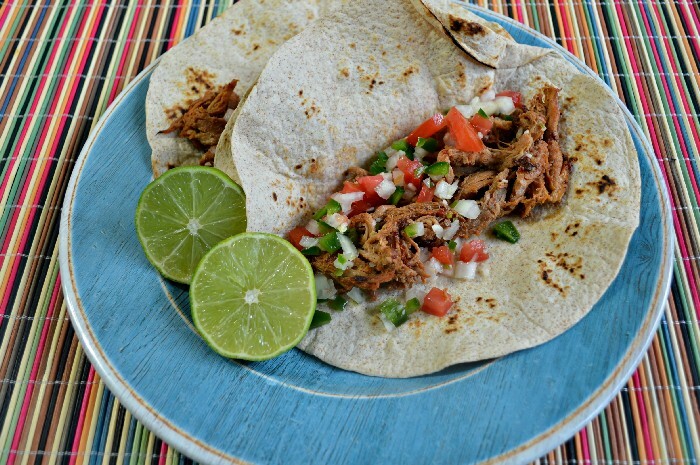 I served my carnitas in blackened tortillas that are so simple to make. If you have an electric stove, heat the tortillas, one at a time, in a non-stick pan. If you have a gas stove, hold them with tongs and place them over the fire from your burner. Place them in a tortilla warmer or on a plate covered with a pot lid until it is time to eat. 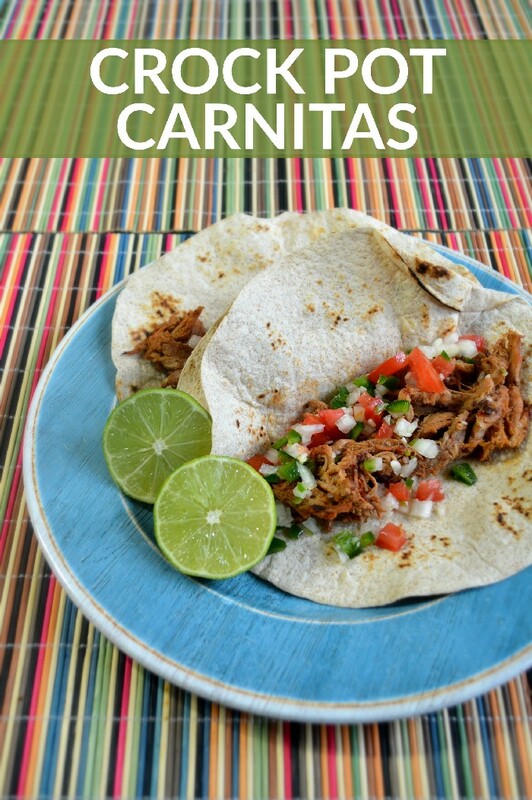 If you have leftovers, the carnita meat is also good on top of nacho chips, mixed in soups, or served over rice. I also made a quick fresh pico de gallo using onion, tomato, jalapeno, lime juice, garlic, and salt. You could add some cilantro into your pico, but I am one of those weirdos who think cilantro tastes like soap. The tacos don’t really need anything other than the pico, but you can add your favorite taco toppings if you would like. My husband and daughter really loved this recipe, but it was a bit too spicy for my son. If you or your family are sensitive to spiciness, you can cut down on the amount of chipotle in adobo you add in. Just don’t eliminate it completely because it adds such delicious flavor to the pork. Add all the ingredients to the crock pot. Cook on low for 7 hours. Shred the pork and return to the crock pot for another hour. Spread the meat on a baking sheet, leaving the juices in the crock pot. Bake in a 500 degree oven for 10 minutes. Return the crock pot to keep warm. Serve in tortillas, over chips, or over rice. I love flavorful meals that can be made in the crockpot, so this is going to be one of my staple recipes during the school year. If you are looking for more great dinner ideas, visit Smithfield’s website for more recipes. I know you ingenious readers have ways that you make school night dinners easier too. 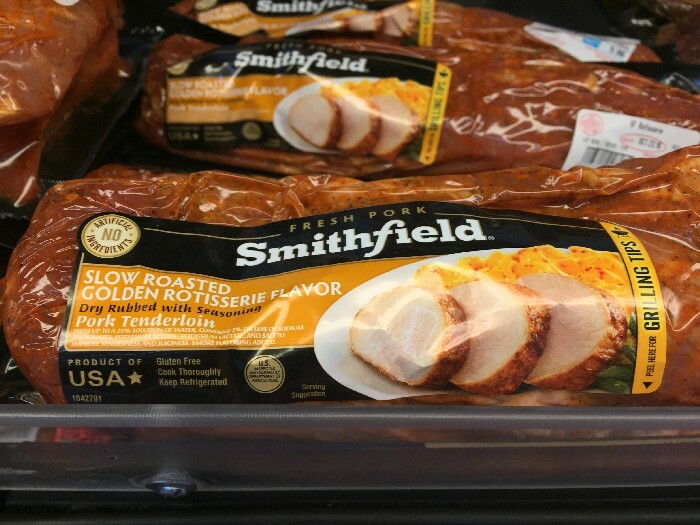 Smithfield Marinated Fresh Pork can also be roasted, sauteed, or grilled for a meal that is ready in 30 minutes or less. What is your favorite meal tip? Share in the comments below! 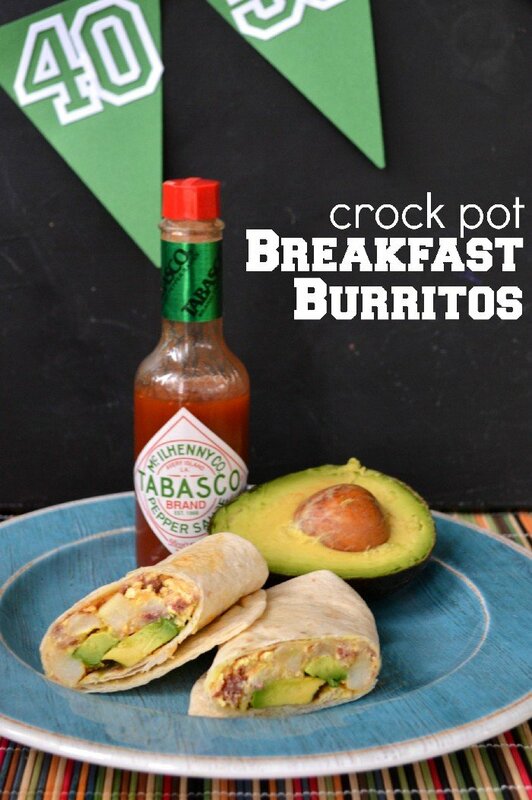 Love that you can make this in a crock pot! Thanks for the recipe, as your pictures make it look SOOOOO goood! We love Smithfield…and we also love anything in the crockpot! So this is a winner! I’m in! Looks like such an easy and tasty recipe! I am always looking for new slow cooker recipes! This looks delicious! 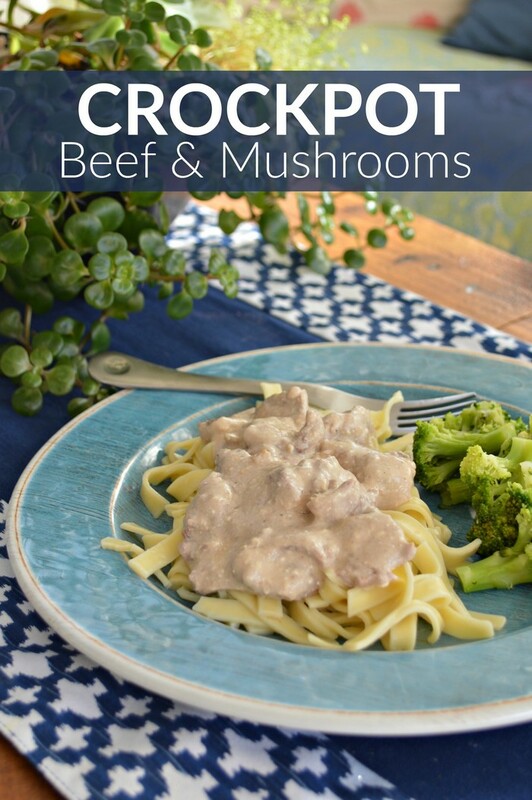 I love to make crockpot meals and I know my family would really enjoy this. My boys will love this – yum!